The United Nations Secretary-General, Antonio Guterres, presented four proposals, this Friday, aimed at protecting Palestinians in the occupied West Bank and in the besieged Gaza Strip, including the deployment of observers and increased humanitarian and development assistance. The UN General Assembly had requested the report, in a resolution adopted in June with 120 votes in favor, eight against and 45 abstentions, which condemned Israel for excessive force against Palestinians and also denounced the firing of rockets from Gaza into Israel. 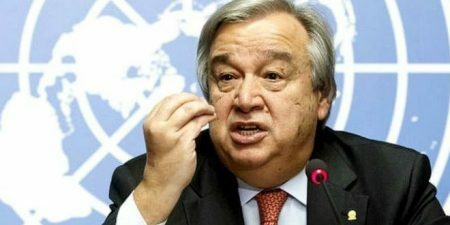 “Could be to send additional UN human rights, coordination and political officers to boost monitoring and reporting on the situation and increase the UN’s visibility,” Guterres wrote.